The Summertown Eco Leaders team were geared up for the big race on Friday 25th January at the Standard Chartered 10km run and 3km fun run, with a total of 50 people participating. Experienced tri-athalete Jimmy Lynch, General Manager for Summertown Interiors, ensured that the team were prepared ahead of the race and organized a number of training sessions, helping everyone to increase their fitness levels. Srinivas Shanigram, Summertown Interiors Office Assistant, progressed from the previous year’s 3km race to 10km, and set the pace for the team completing the run in just 49:43mins. An outstanding achievement by Srinivas. 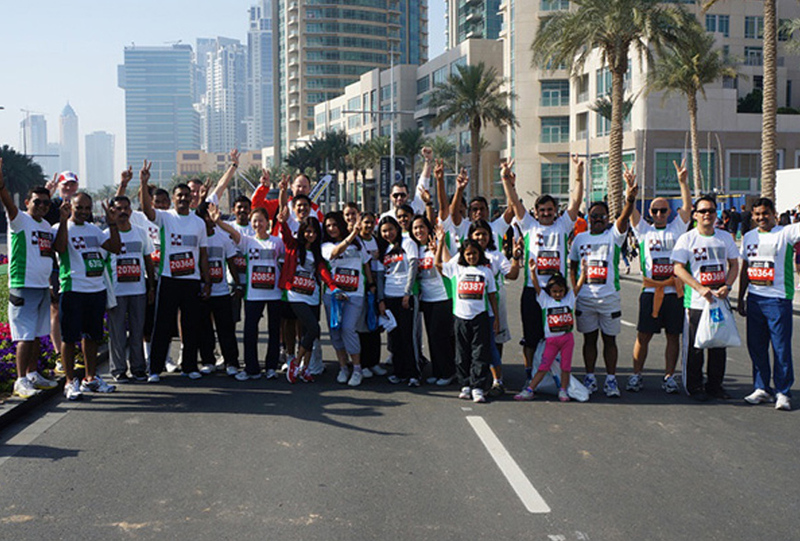 The 3km fun run saw staff and their families taking part, with the youngest runner being just 6 years old. The Standard Chartered run is one of 3 community events that the Eco Leaders Committee organise as part of their commitment to Corporate Social Responsibility. Marcos Bish, Managing Director for Summertown praised everyone for their efforts. “We had a great response to this initiative, with even more people taking part this year. It’s a great effort by the team to raise money for charity”. Summertown’s donations will be going to Mawaheb by the Beautiful People – a local art studio for young adults with special needs, and to the Bluehaus Group, leading architect and design firm, in support of their ‘Tour of the Emirates’ 900km cycle challenge to raise money for SOS Children’s Villages.